It’s the spring doldrums. The weather is nice but there is still lots snow around so I can’t get out to do any yard work. I decided to make another trip up to Crex Meadows on Thursday. My wife decided to come along. It’s always a good idea to have a driver. 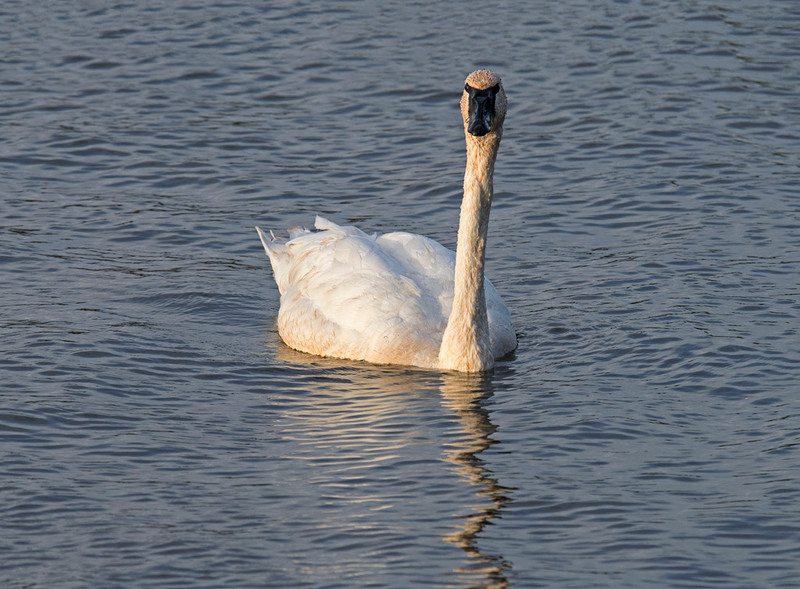 Turned out to be a good decision because I saw quite a few new birds that have arrived at Crex Meadows. 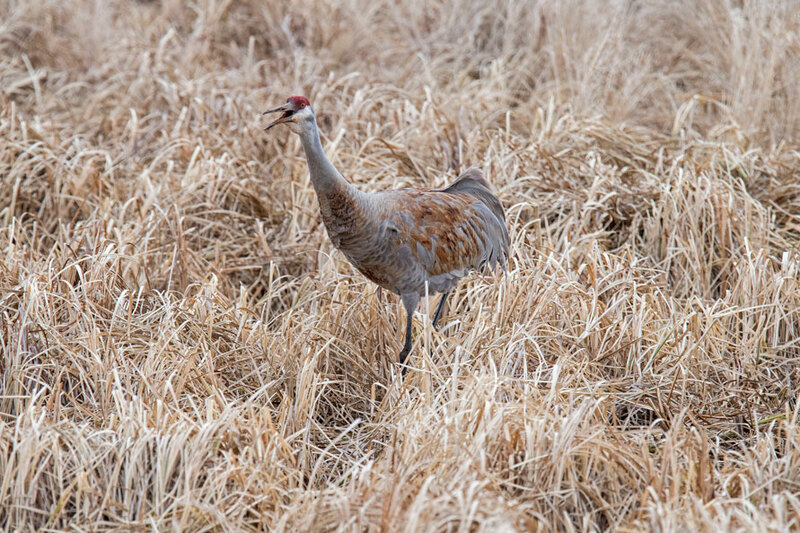 The Sandhill Cranes are back in large numbers. 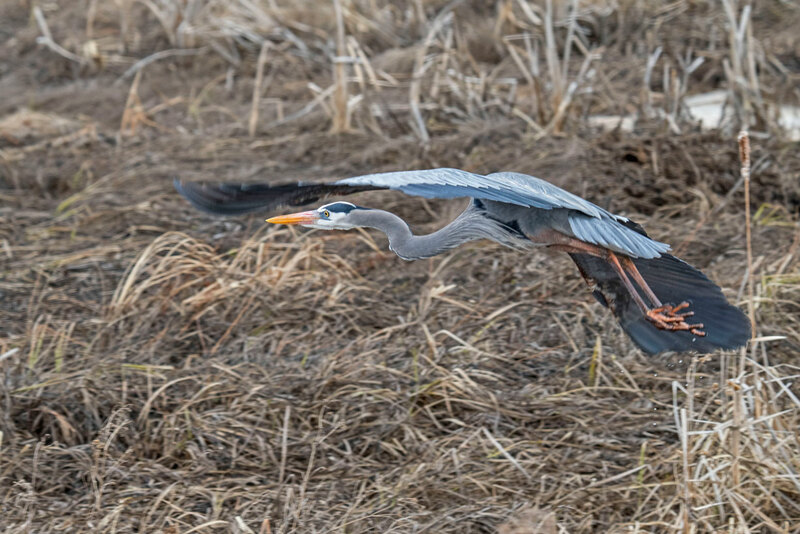 In the first photo the crane is preening itself with mud. 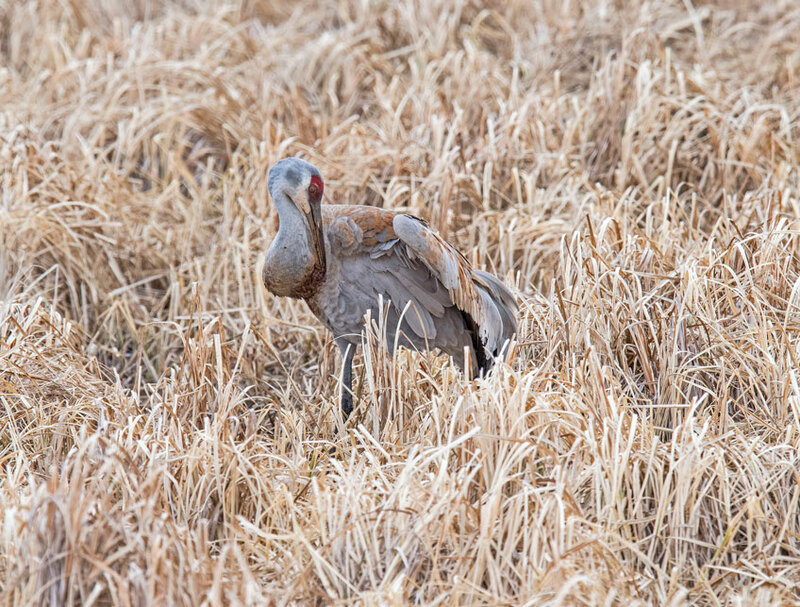 The Iron in the mud stains the feathers giving the crane the reddish color. 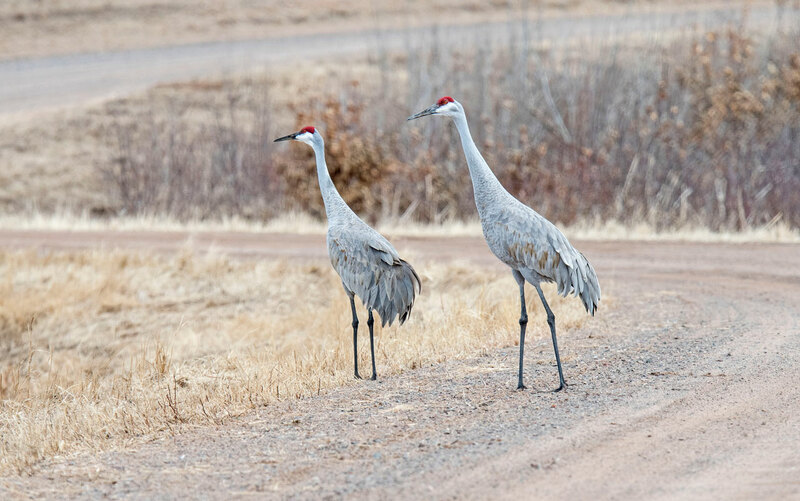 Notice that in the last photos these cranes are still the lighter color. 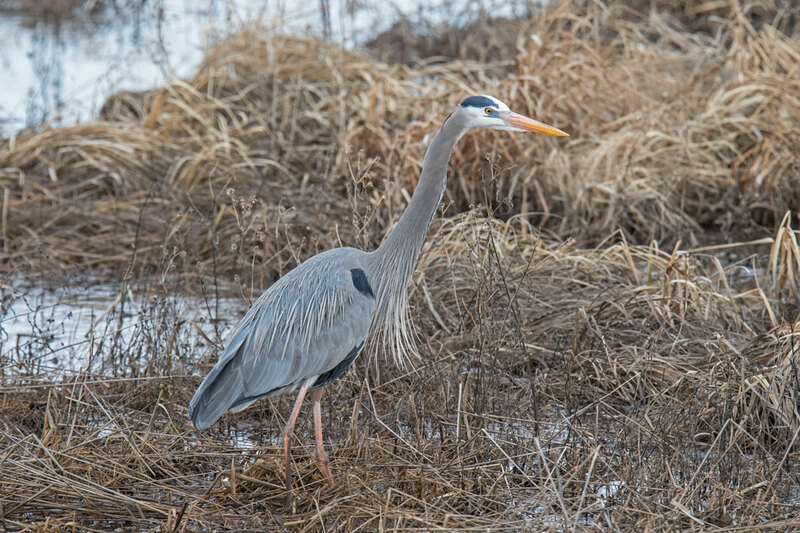 We also encountered a Great Blue Heron right along the road. Normally they take off when we drive up but this one stood its ground. 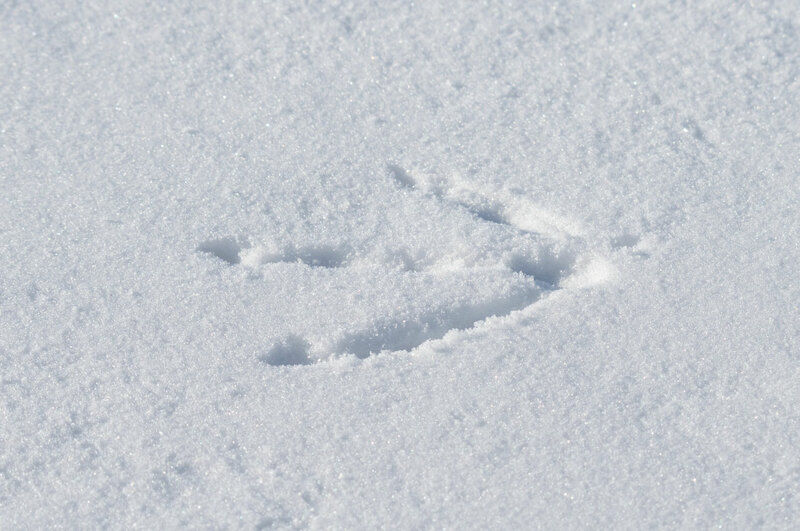 When it did fly it only few a short distance and stayed along the road. We followed it for about 50 yards as it moved from place to place. It was a great chance to get a variety of poses. 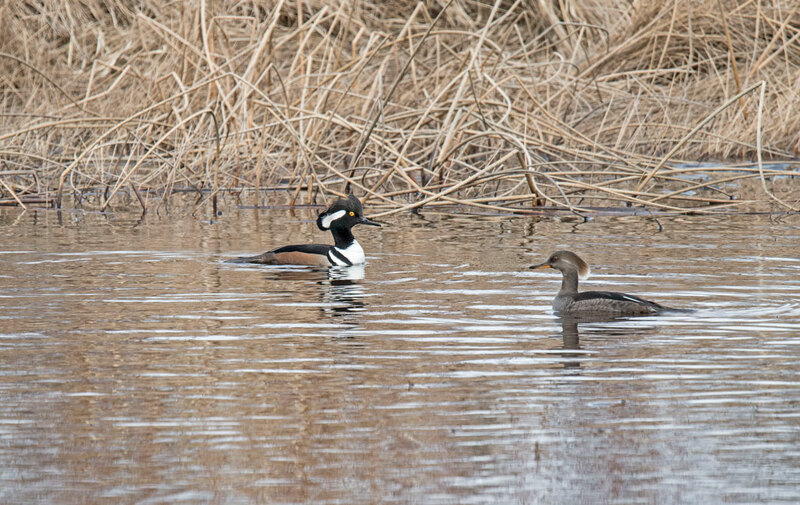 There were a large number of Hooded Mergansers in the meadows. They were a bit shy but I was able to get a few photos. 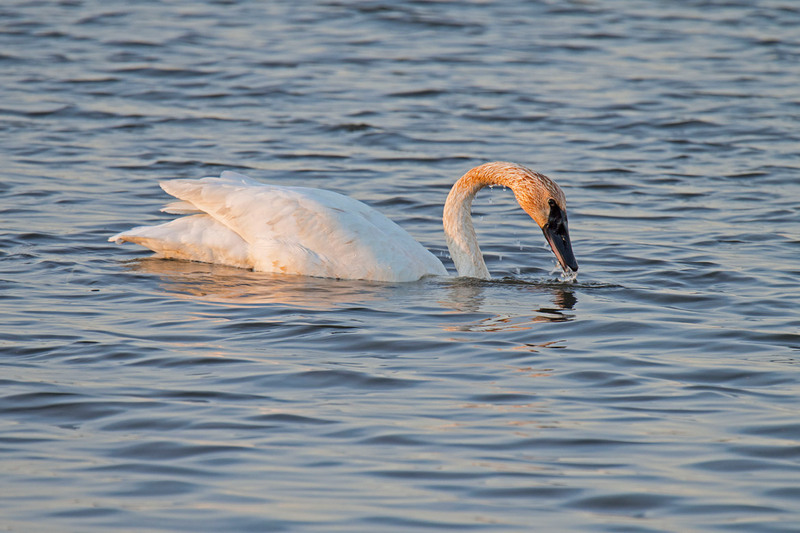 There were more Trumpeter Swans around than there were a couple of weeks ago. 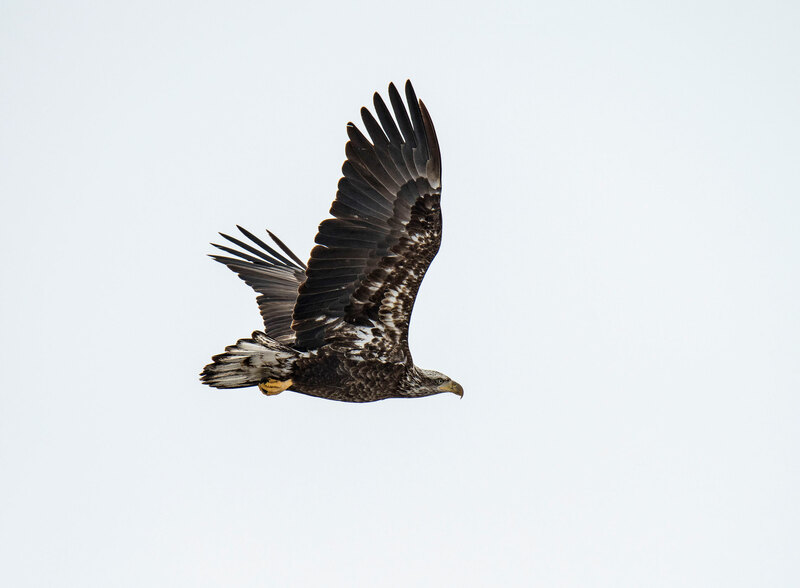 Once again we saw over a dozen Bald Eagles. 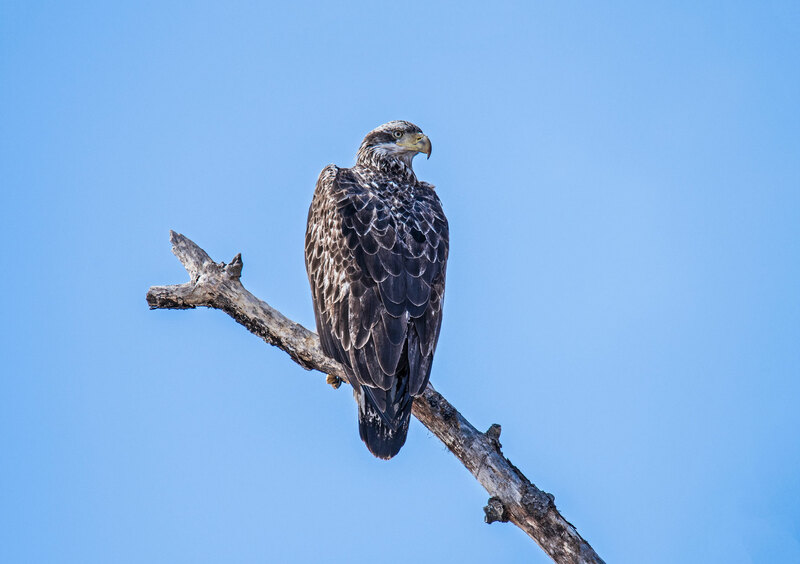 The first photo shows one near the nest. The mate was sitting on the side of the nest. I don’t think there were any eggs yet. 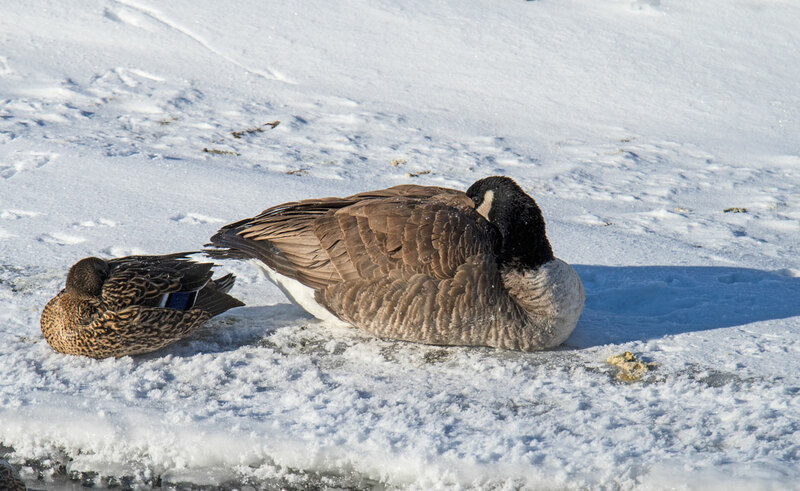 There were quite a few Canadian Geese around. 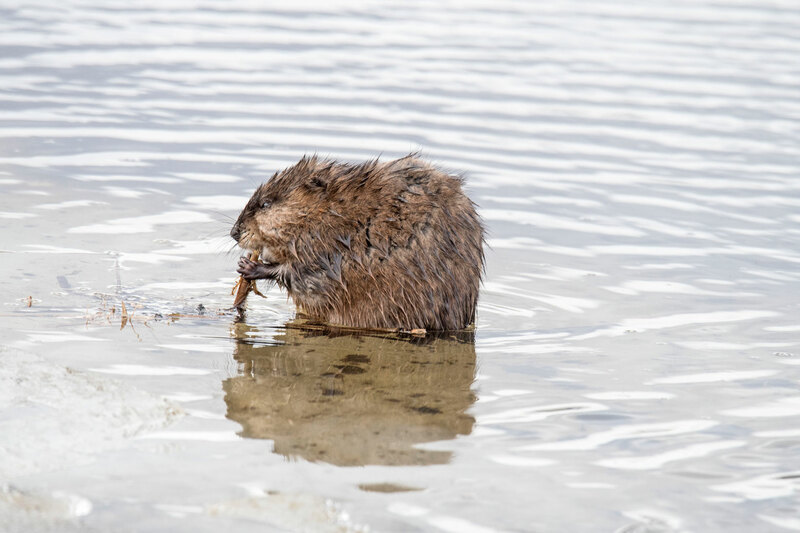 We saw a couple of Muskrats. This one was right beside the road and seemed totally oblivious to our presence. Still quite a bit of ice around the meadows and some of the roads were quite muddy. 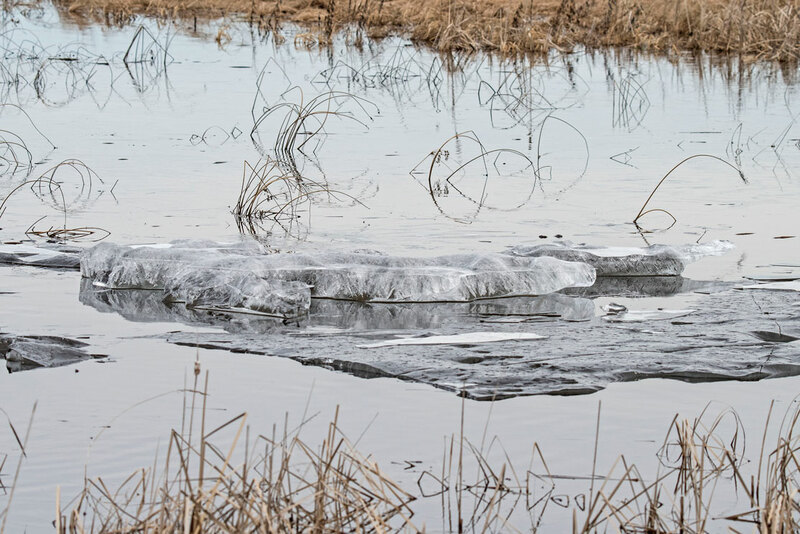 My wife and I drove around Crex Meadows on the last day of winter. 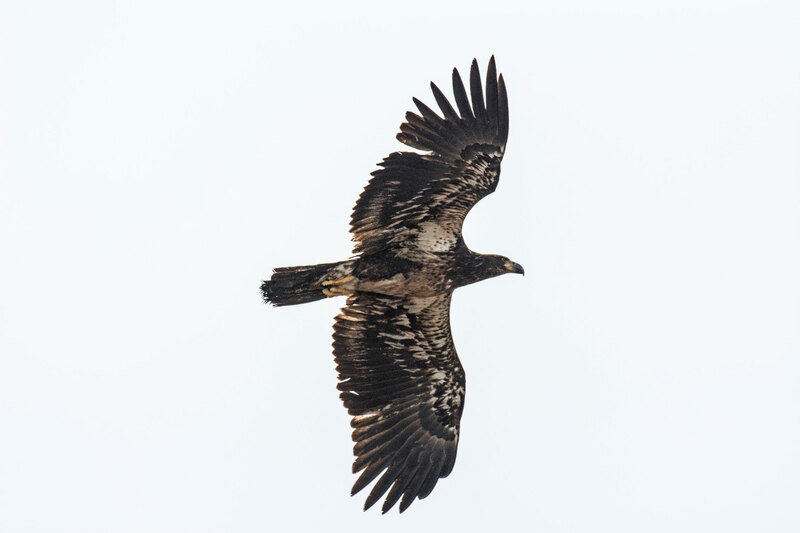 We managed to see over a dozen Bald Eagles during our two hours in the Meadows. 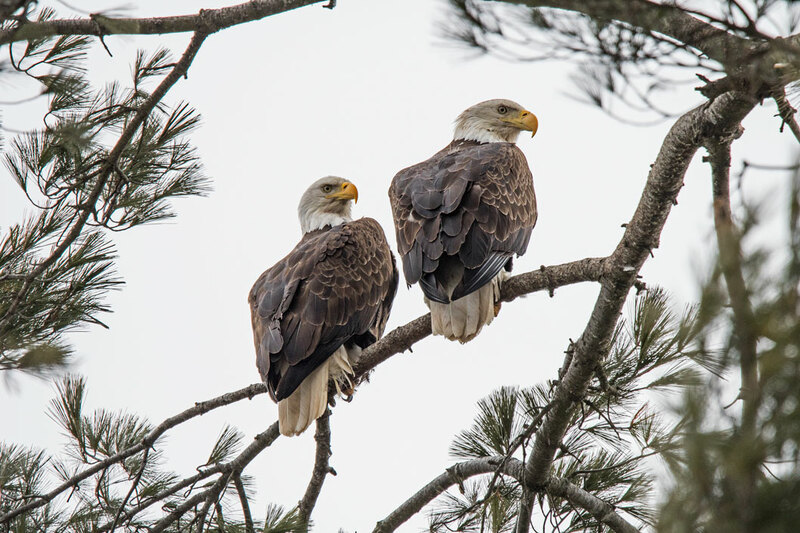 The first photo shows a pair of Eagles sitting by their nest of Phantom Lake Road. 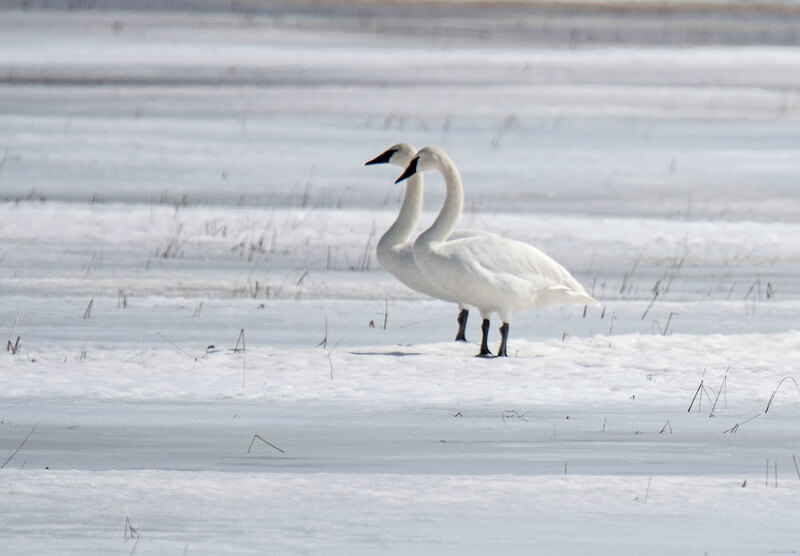 There were lots of Trumpeter Swans around staking out their territory for the summer breeding season. 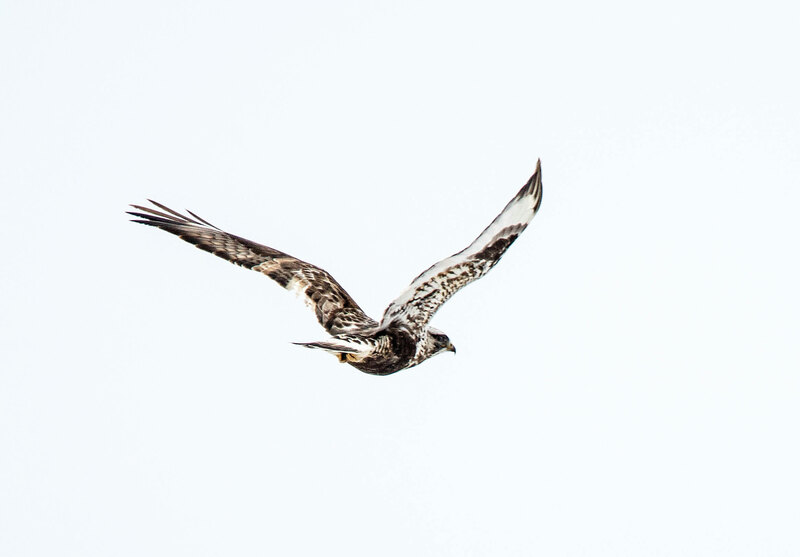 We saw quite a few Rough-legged Hawks flying around but they were not interested in posing for the camera. 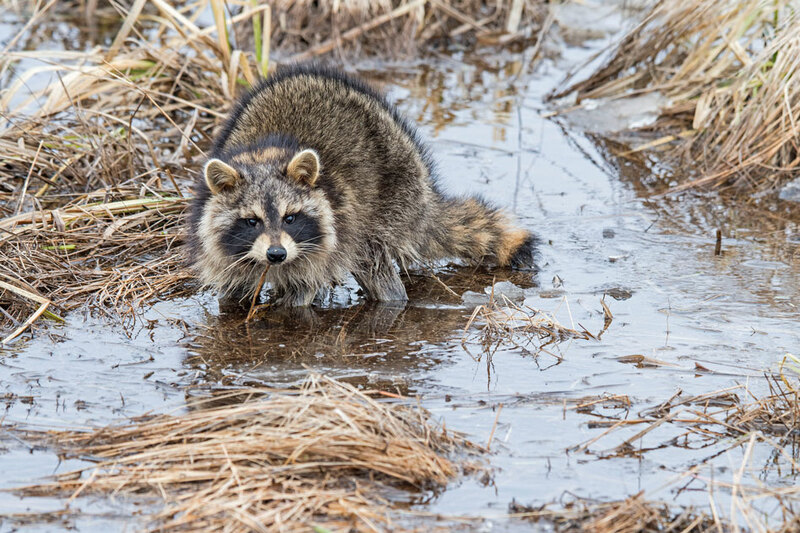 This is the first Racoon that I’ve seen at Crex Meadows. 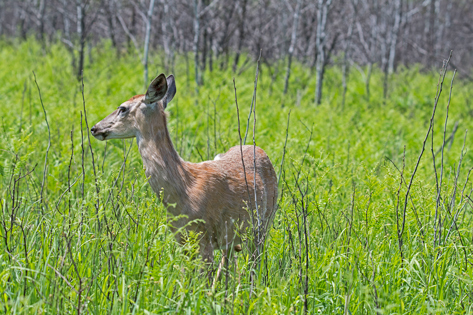 We also saw a White-tailed Deer. 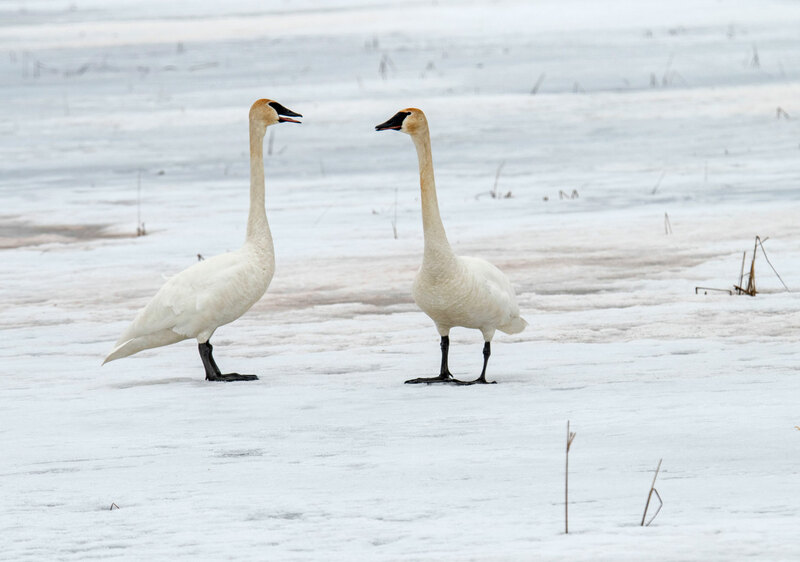 I had been photographing these two swans and was getting back into the car when I heard a ruckus on the flowage. 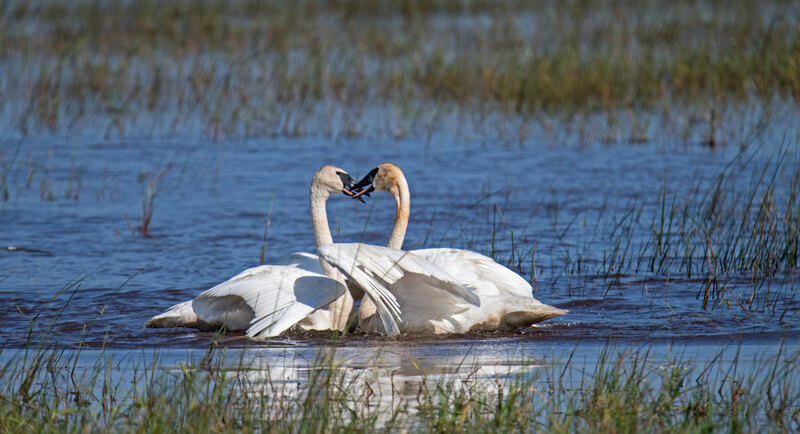 The two swans I had been watching had gotten into a heated argument which went on for some time. 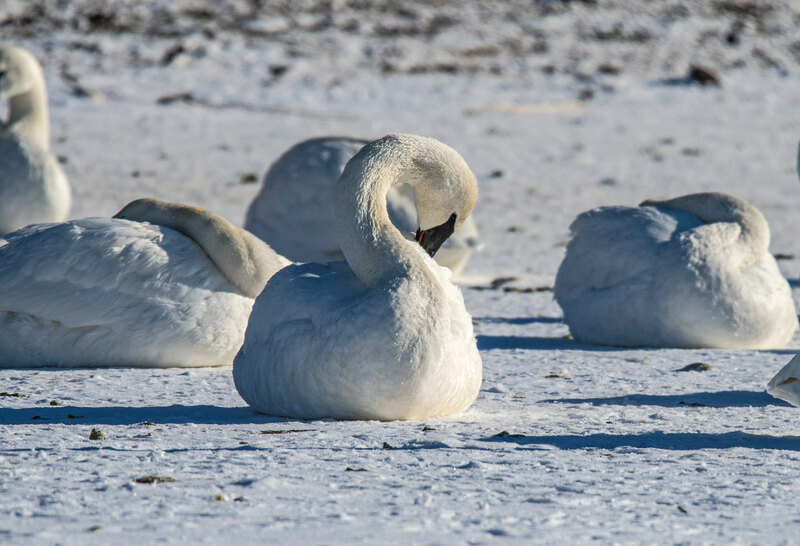 Things seemed to calm down when I noticed them looking at another swan in the area. 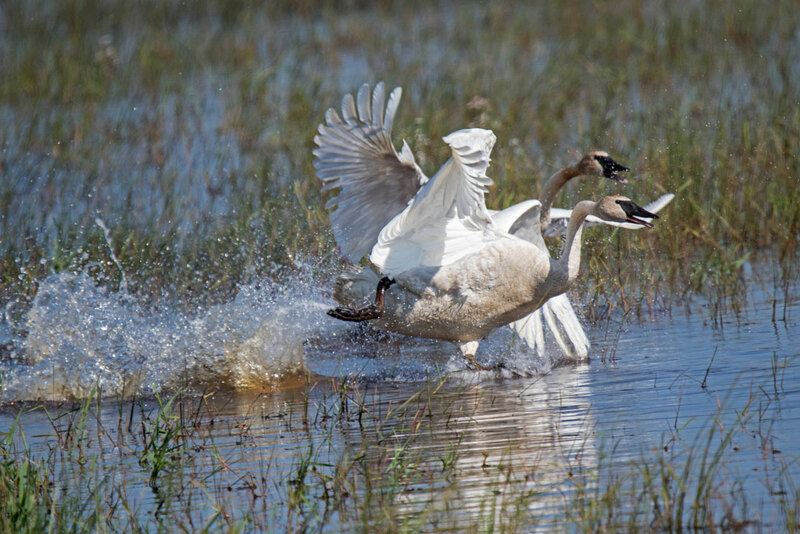 All of a sudden they went after the third swan and managed to chase it to another area of the flowage. 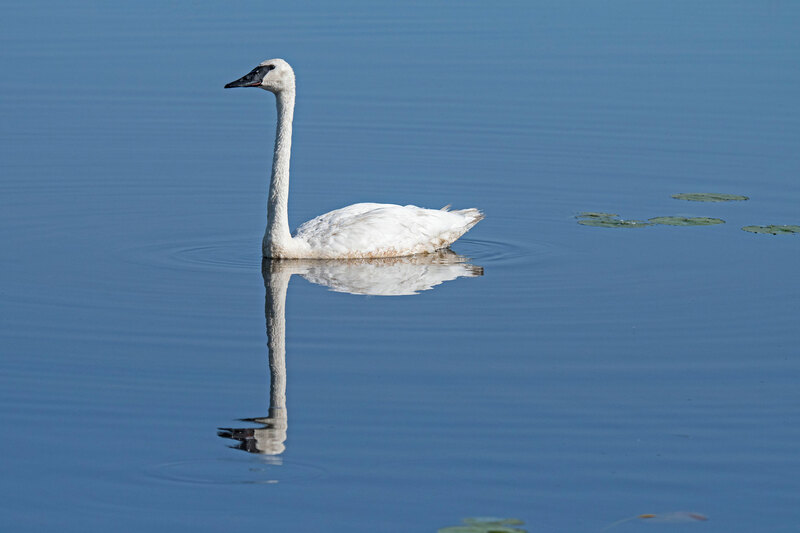 It is rare when the wind isn’t blowing at Crex Meadows. We arrived early in the morning and this small pond was calm. Made for some nice reflection shots. After finishing our hikes at Chapel Falls and Mosquito Falls we drove through the park to Grand Marais and then on to Seney. By this time the winds were really blowing. There were trees down and in one place a tree had fallen over a power line. We were wondering if we would have power when we reached Seney. The hope was to get some good sunset and sunrise photos but it didn’t work out. The next morning we drove through the Refuge. 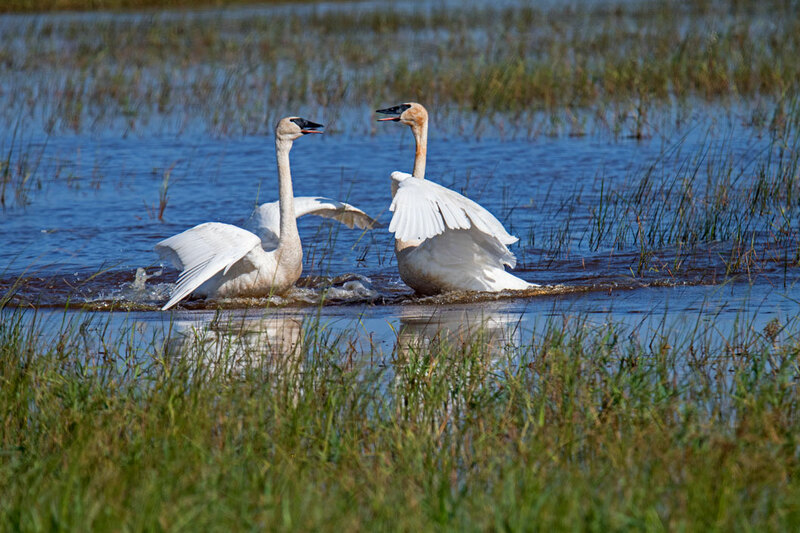 There were some Trumpeter Swans around. 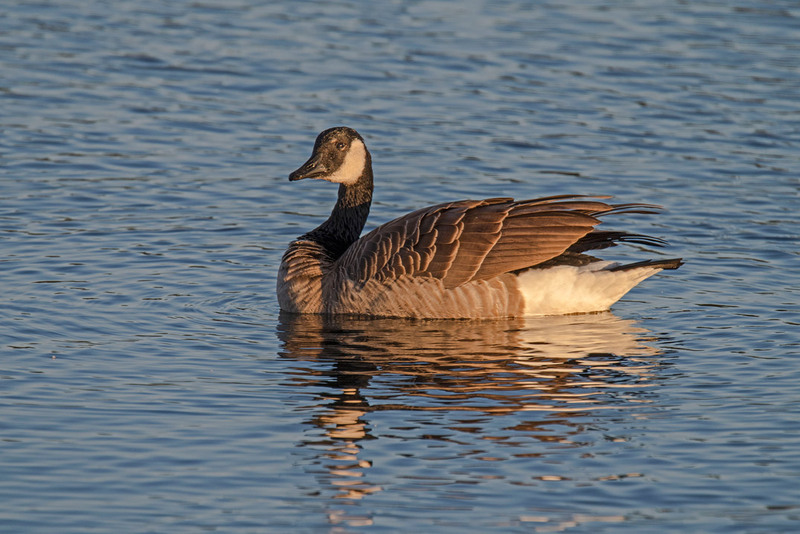 There was a small flock of Canada Geese on one of the flowages. 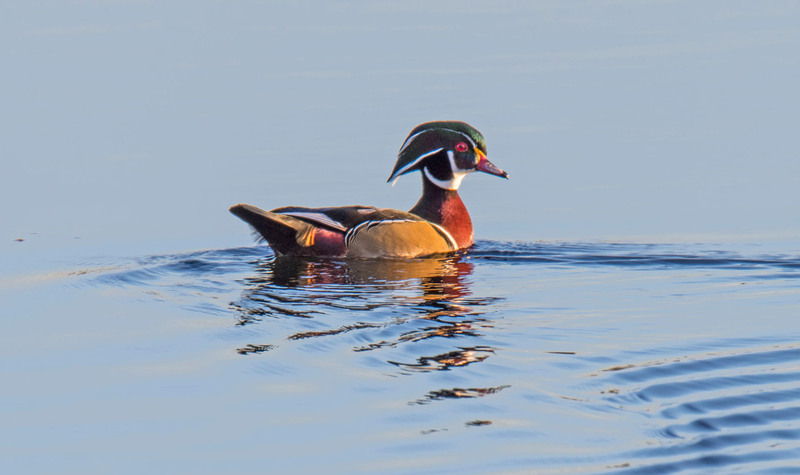 We also found one lone Wood Duck. 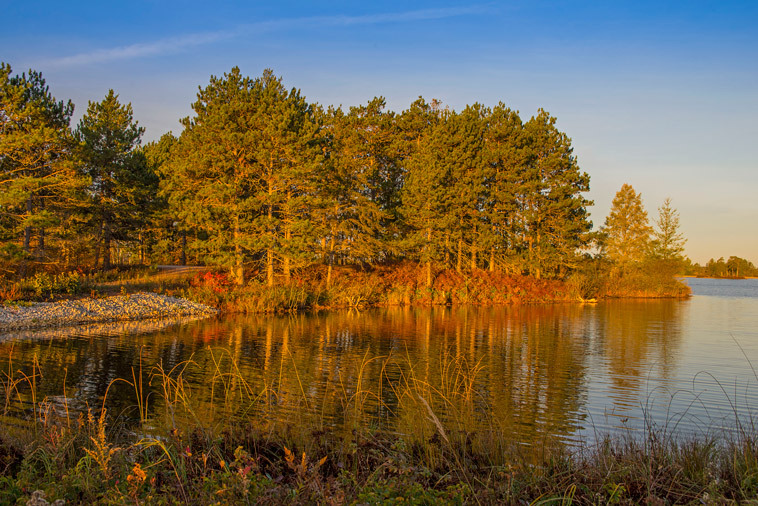 The fall colors were OK but not the best we have seen at Seney. 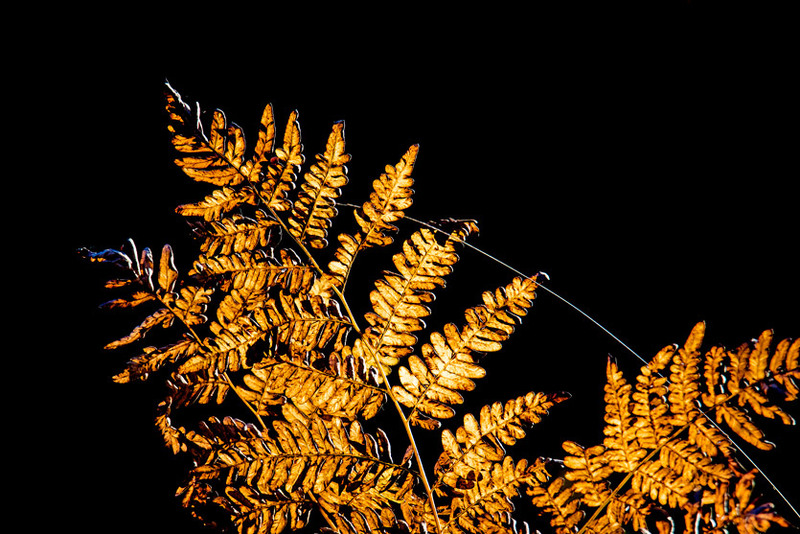 I did get a nice shot of some backlit fern leaves. 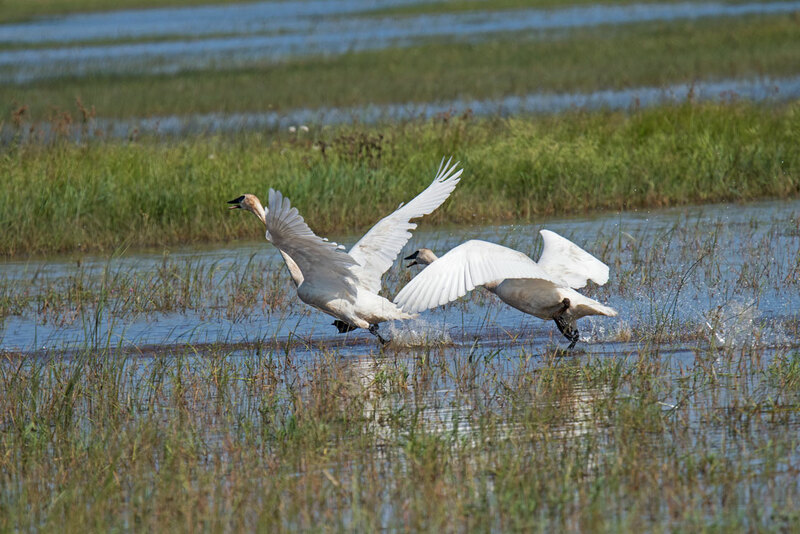 We made a late spring visit to Crex Meadows last week. 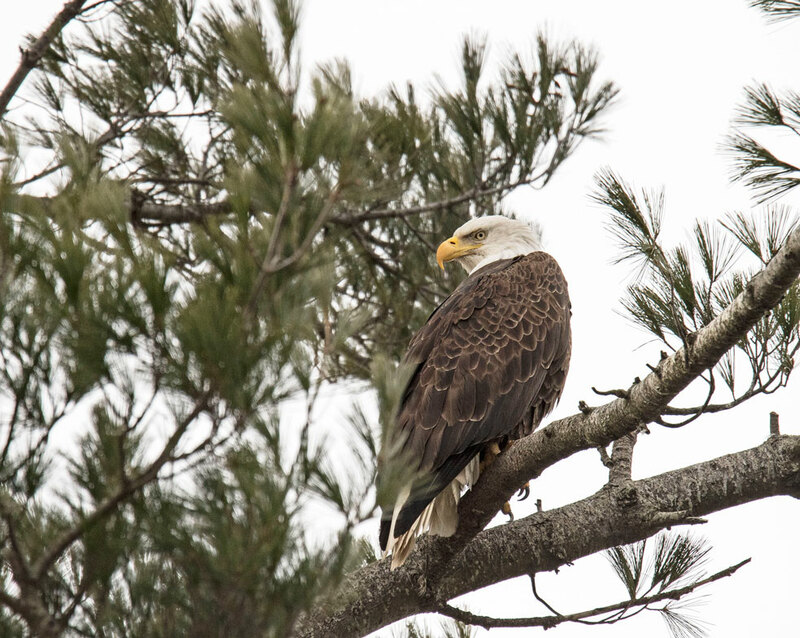 Our first stop was a Bald Eagle nest on Phantom Lake Road. 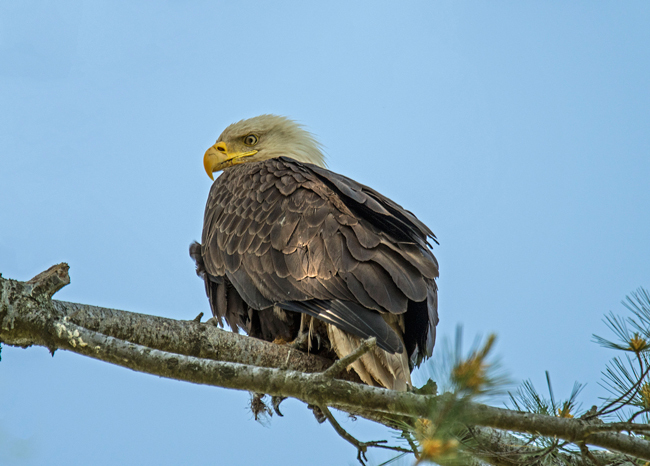 One of the adults was sitting by the nest and there were two young in the nest. It looked like they were just about ready to leave the nest. 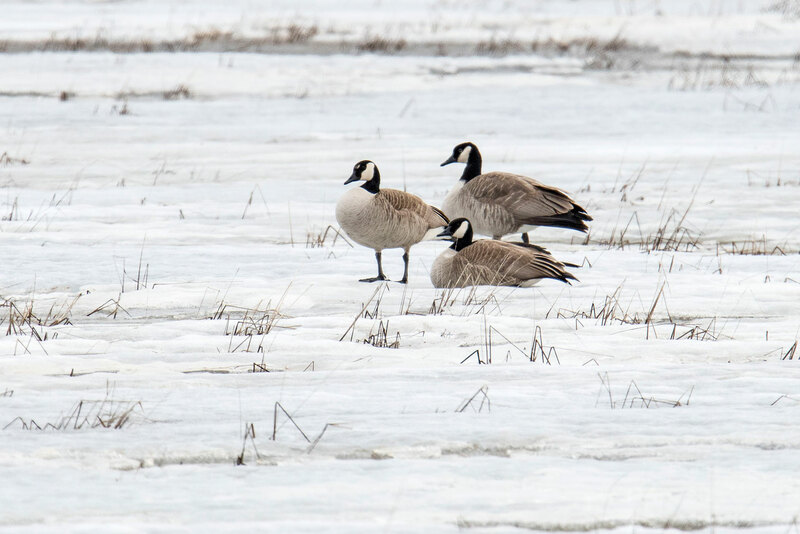 When we reached Phantom Lake we found a number of pairs of Canada Geese with their young. 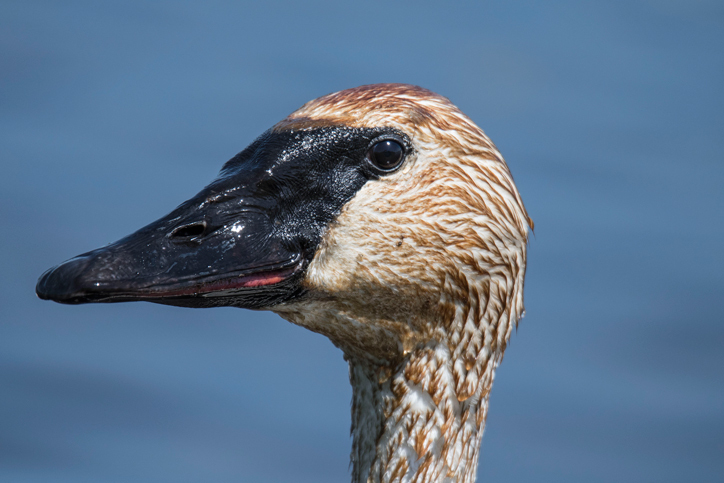 This adult seemed to be upset with something and it kept chasing other geese. 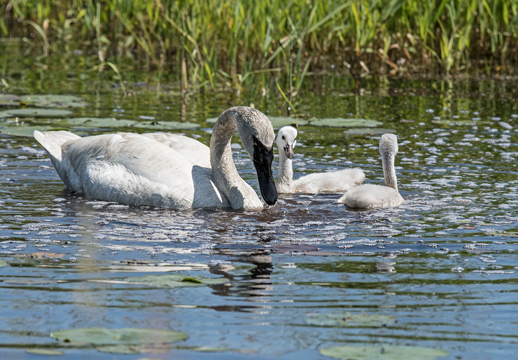 There were a number of pairs of Trumpeter Swans with their young. 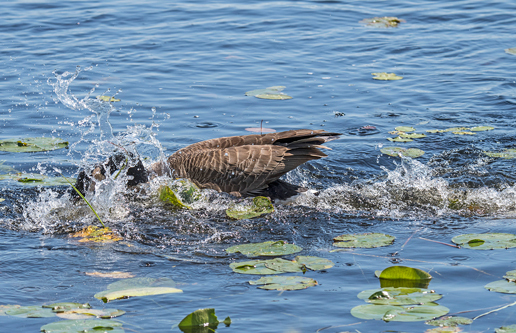 The adults were furiously churning the water. 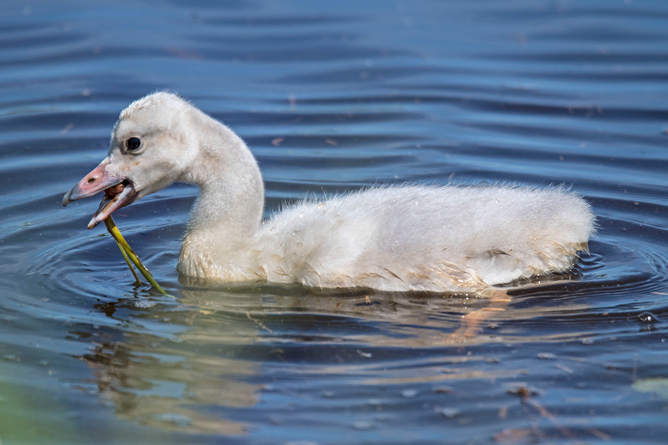 I assume to free plants from the bottom so they would float to the surface and the Cygnets could feed on them. 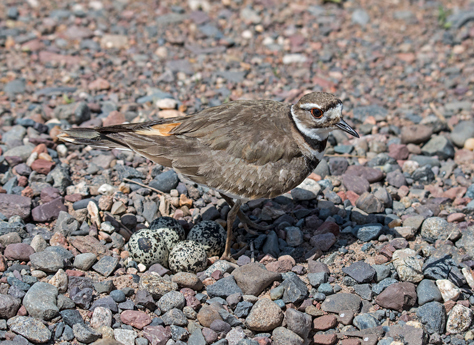 One of the popular attractions this year has been Killdeer nesting in the roads around the flowage. 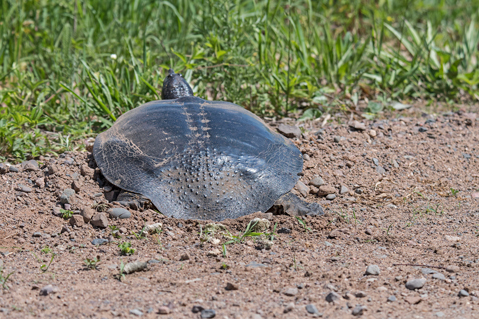 We also found this Leatherback Turtle laying eggs along the road. The spring flowers were out in the meadows. 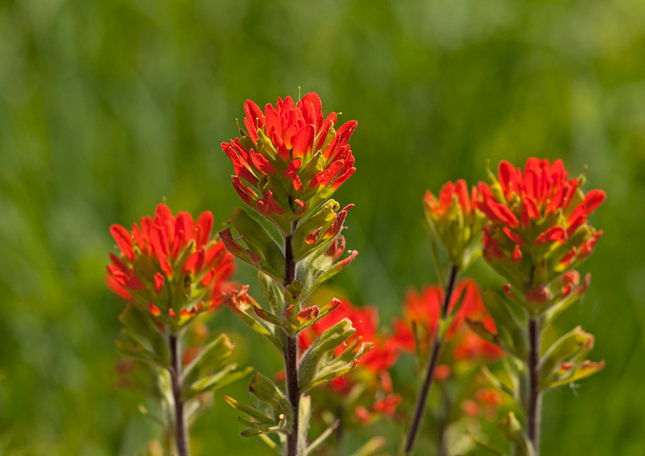 Indian Paintbrush and Yellow Water Lilies were common. 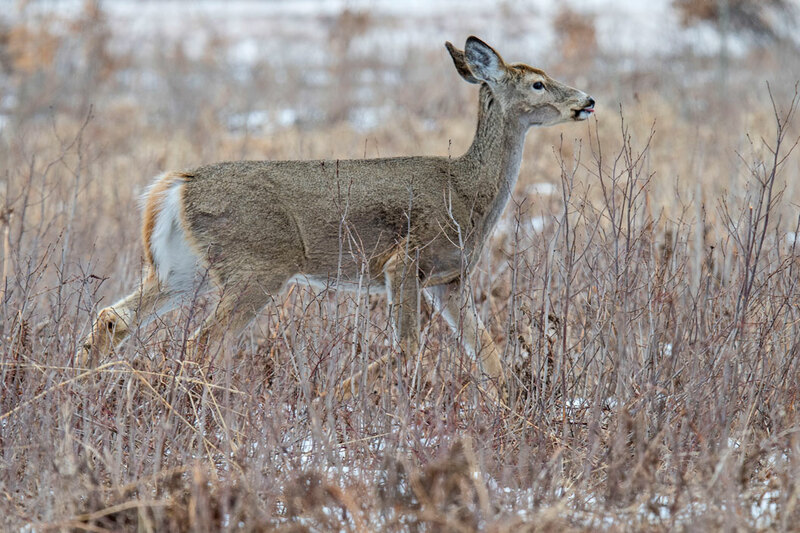 We encountered a number of White-tailed Deer in our drive through the meadows. 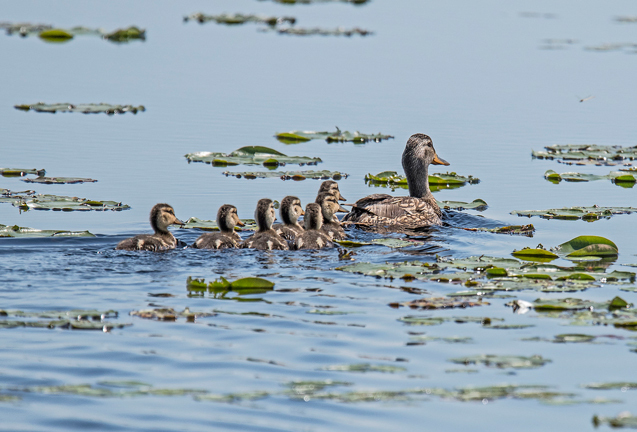 The young ducks have also hatched and could be found on the flowages. 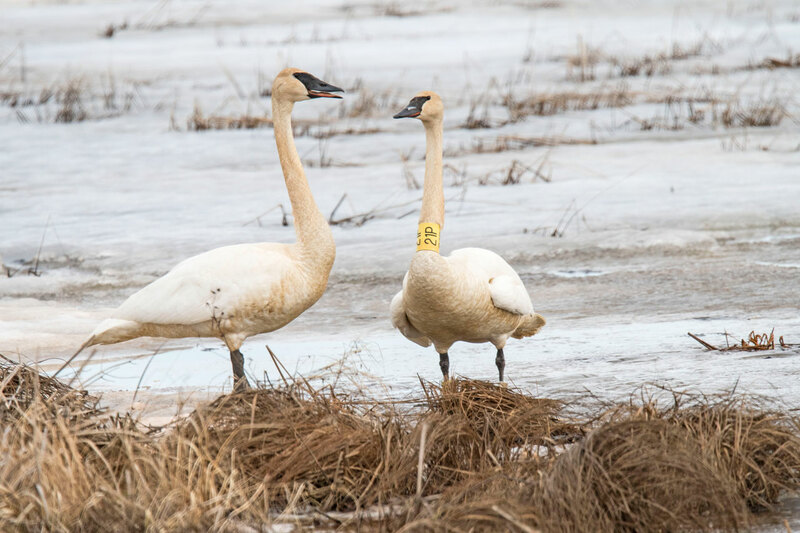 The Trumpeter Swans have returned to Hudson, Wisconsin again this year. 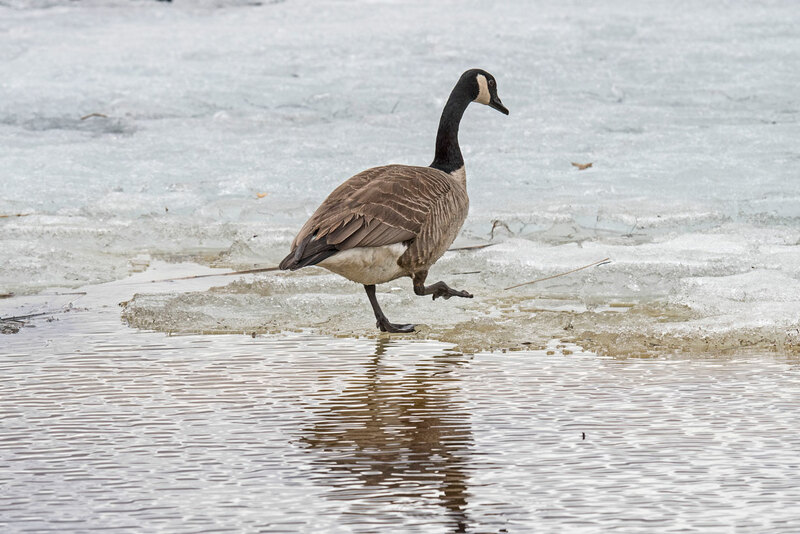 When we stopped there were over a hundred of them in a small area on the Saint Croix River. It was very cold out an many of them were huddled on the ice. There appeared to be an argument going on. 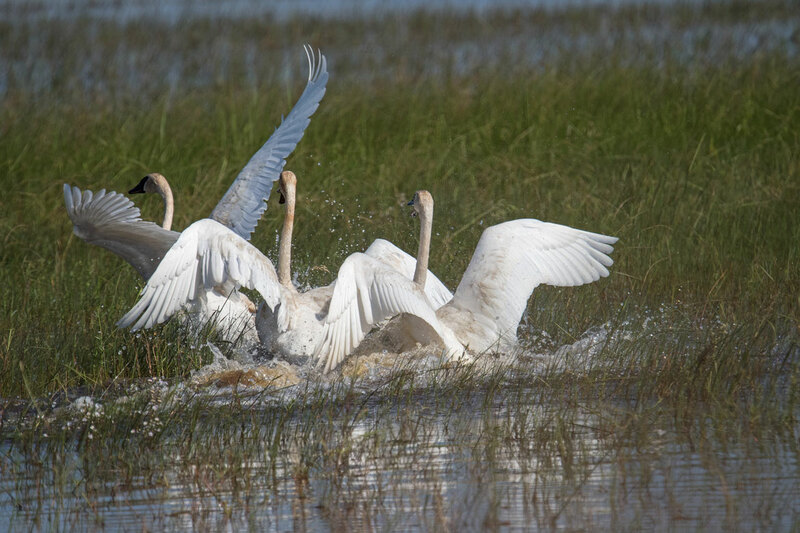 This happens every so often when a number of Swans head toward one another and a dust-up takes place. 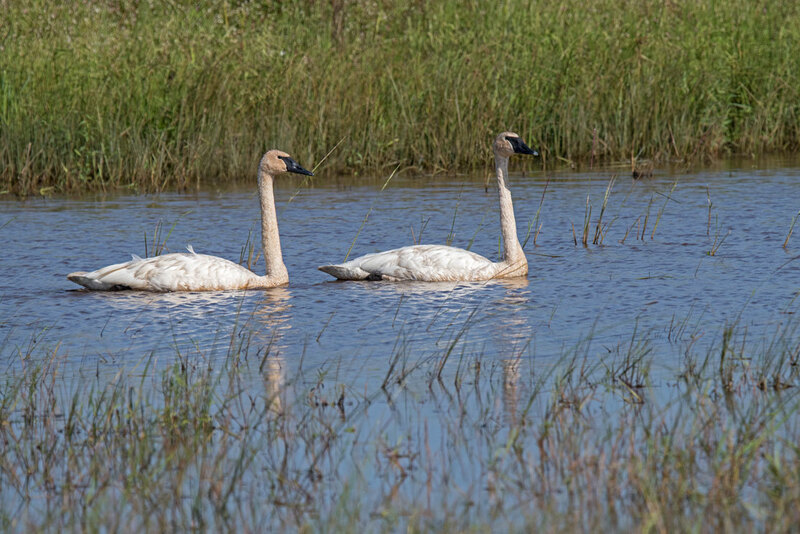 While we were watching a small flight of Swans came in. 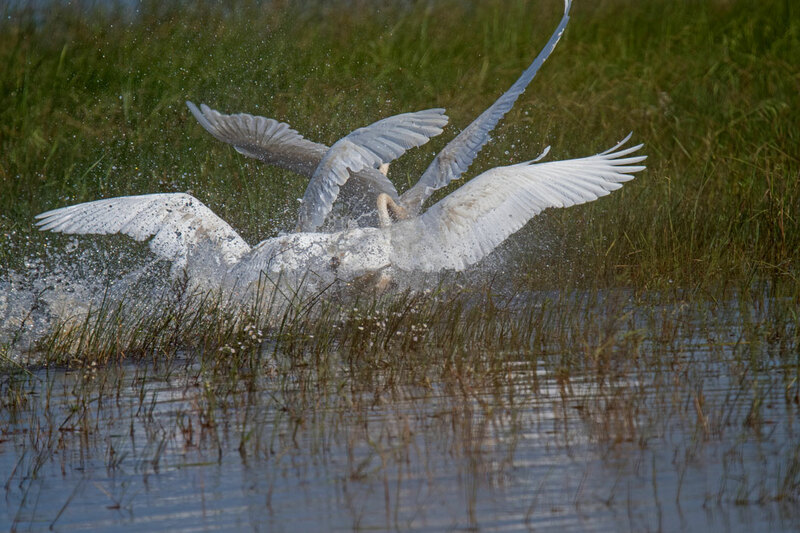 This one almost landed on top of a couple of other Swans. 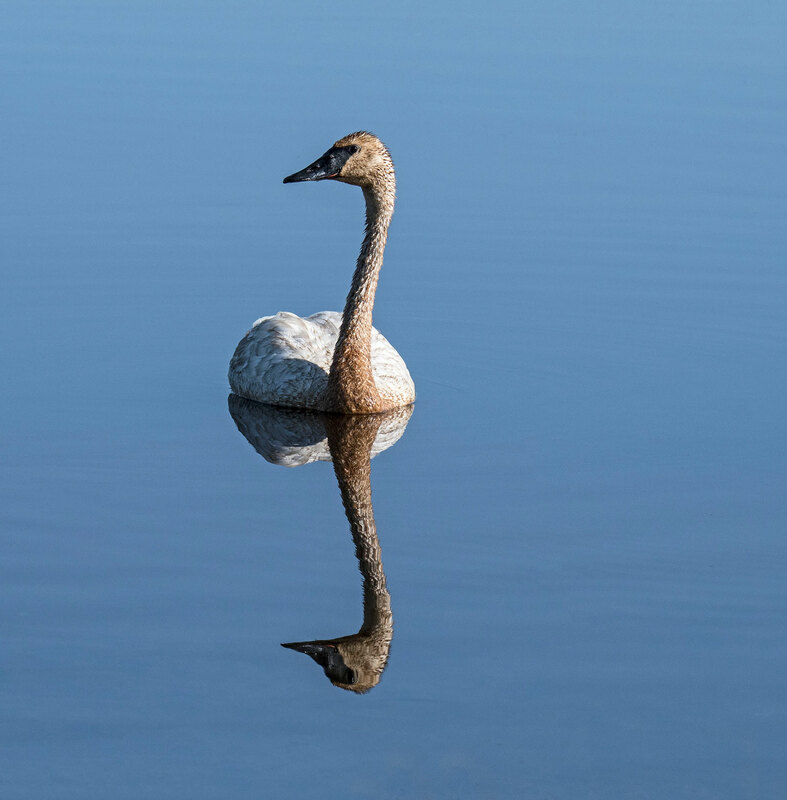 This young Swan seemed to be doing his mid-day stretching exercises. 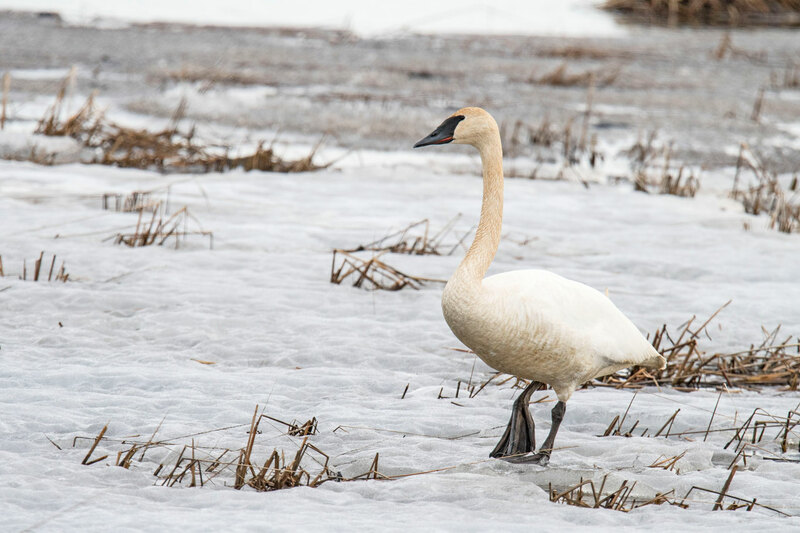 This swan was eating along the edge of the ice just before climbing up onto the ice to rest. Last week we made our first fall road trip of the year. We actually made two different visits to Seney. We stopped on our drive up to Sault Ste Marie and we stopped again on our way back to Munising. The second visit was much more exciting. We had exited the freeway and were in the middle of nowhere and I happened to notice that we had 43 miles to go before we were out of gas. This never happens. We tried to pull up GasBuddy on our phone but didn’t have a signal. We pulled out the map but weren’t sure where we were. It looked like it we were closest to Sault Ste Marie so we turned around. Fortunately we found a gas station about 10 miles back down the road. When we we drove back toward Seney we checked the mileage to the first gas station. Turned out it was 43 miles from where we turned around. Not sure it actually had gas because there was only one ancient pump. 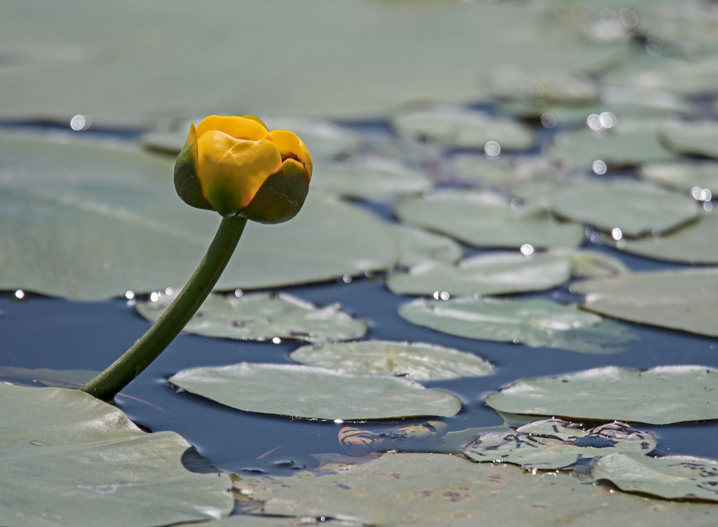 There was not a lot going on in Seney. There was not a lot of color yet. Some of the ferns offered a bright spot among the green. 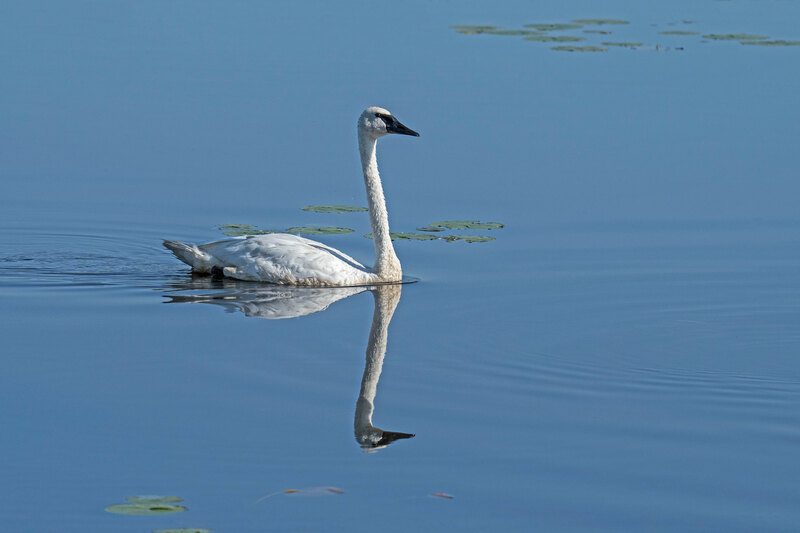 There were quite a few Trumpeter Swans in the various pools. 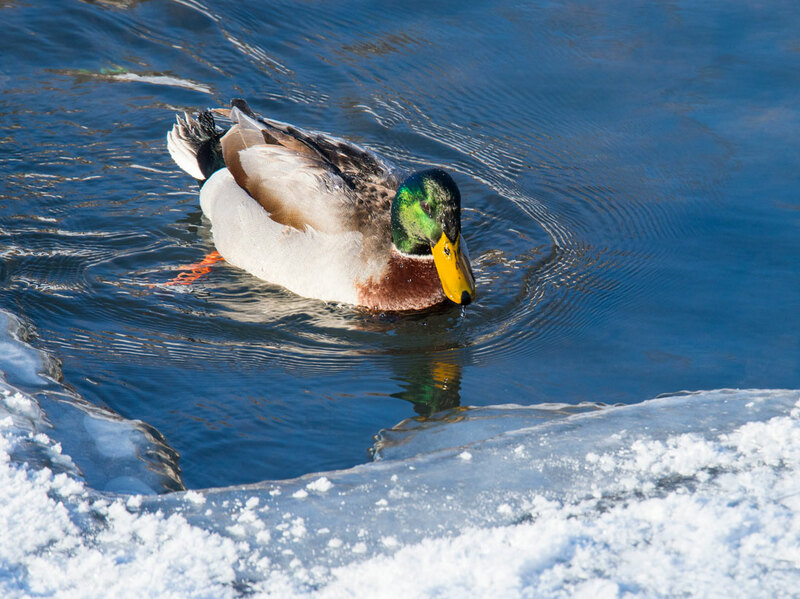 On one pool they were surrounded by what I think are Wood Ducks. 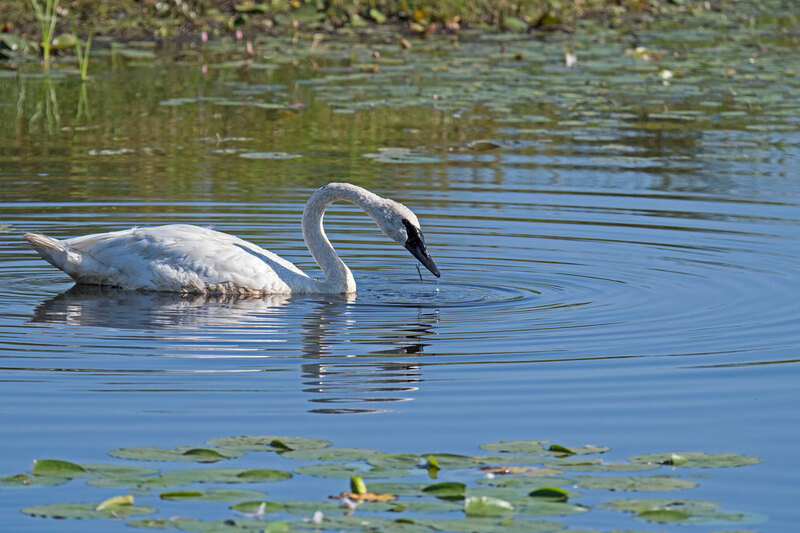 Apparently the Swans were able to reach the choice morsels at the bottom of the pool so the Wood Ducks just waited until the Swans brought it up before diving in and grabbing some. 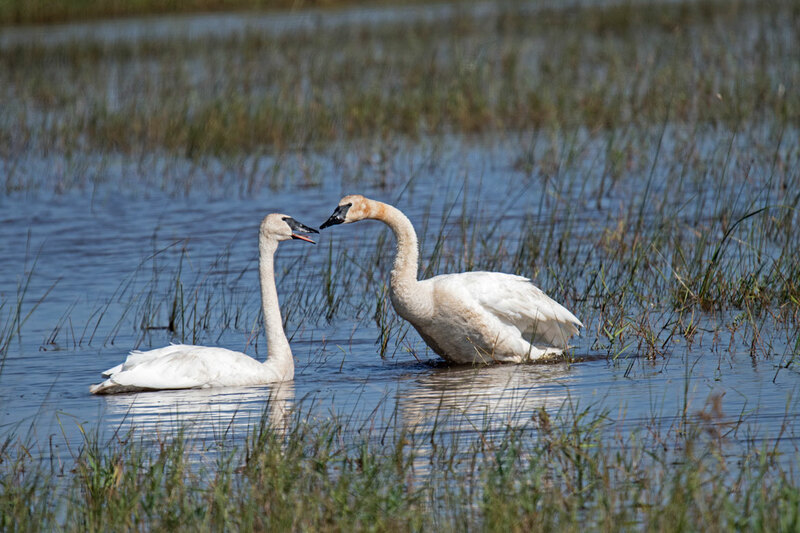 These two swans were standing in some shallow water grooming themselves. On another pool there were a group of Lesser Yellowlegs feeding. As we were exiting the Refuge we noticed this Red Squirrel sitting in a tree right next to the road. I was able to get quite close and he still didn’t move.